Exit rumours about Andy Carroll. | NUFC Blog. 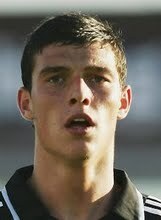 Rumours abound that Andy Carroll may leave the Toon before the transfer window closes tomorrow. As far as I can tell these rumours emanate from The Mirror, which might be good news if we apply the oft used yardstick that the red-tops can be taken less seriously than the broadsheets, but they claim that Carroll is wanted by Wolves and Bolton. Apparently Carroll is involved in some sort of tug-of-war between two agents who are trying to find him a Premier League home and both Mick McCarthy and Gary Megson have made enquiries as to his availability. The Mirror claims that Carroll is ‘keen to go to the top level as soon as possible‘, although I’ve never read about him expressing any desire to leave the Toon before now. Hughton recently said that he was ‘very confident’ that there would be no more players lost before the transfer window closes. I believe Hughton but I don’t trust Ashley and Llambias, who might be tempted if a good enough offer was made, although as far as I know Carroll isn’t what one would call a ‘big earner’ and selling him wouldn’t have a huge impact on the problematic wage bill. We’re having a bit of striker crisis at the moment with Sola nursing a foot injury and Carroll and Xisco looking likely to be out for at least one match with minor niggles, so rumours like this make for nervy reading. Let’s hope it’s all a load of nonsense. another mirror article for the trash bin…. But nothing the barrowboy or his seedy entourage do surprises me any more – anything is possible in the next 24 hrs, apart of course from some decent signings…. I would think leaving would be furthest from his mind now he’s almost guaranteed a start when fit. Being in the top two or three strikers for his home town club was his ambition. The fact we’re no longer top flight won’t take the shine off too much. Having said that I guess UTD111 is right. This last two years proves anything is possible in the worst way imaginable. The fact I’d be lamenting the sale of Andy Carroll tells it’s own tale about the state of our club. Much as I like the lad and admire his endeavour and attitude. Just out of interest, what does everyone think he is worth? my guess £2.5M But even if he went for £5M this wouldn’t make much difference to the clubs finances. So it makes no sense to sell him. He is under contract until 2013. ANDY – Just say NO. Bearders, I’d have guessed about £2.5m too, although it’s sometimes hard to tell. According to the Jerries, Carroll’s worth approx £712,000, and the Lone Ranger’s worth a mere £222,500!